In addition to explaining the benefits of investing in disaster mitigation, this section suggests that making health care facilities safe is an important way of managing disaster risk. 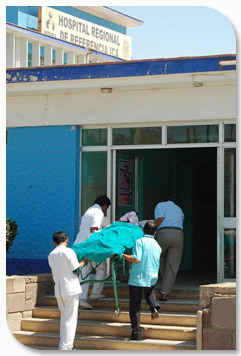 The description of the safe hospital strategy model includes guidelines and actions that should be implemented in countries to advance toward the goal of safe hospitals by 2015. Different elements must be integrated: policies, codes, a range of actors, a network approach to health services, proposals for different interventions that should be funded when new investments are made, proposals for existing facilities, and monitoring of progress. Consult the ‘Safe Hospitals’ reference documents.